GM Daewoo Auto & Technology Co. has announced that its main operations at the Bupyeong plant in South Korea have halted due to its tiremakers cutting off supplies for higher prices. “Domestic tire suppliers today stopped supplying tires to call for higher tire prices and the Bupyeong plant has been sitting idly since 1 p.m. (0400 GMT),” GM Daewoo spokesman Kim Sung-Soo told Dow Jones Newswires. 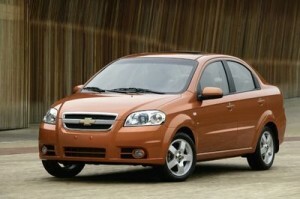 GM Daewoo has filed for a preliminary injunction with the Seoul District Court to end the hiatus. Both Hankook Tire and Kumho Tire are demanding 12% price increases due to higher costs for raw materials. They do not plan on cutting off supplies in GM Daewoo’s other two plants in Gunsan and Changwon. The two corporations already increased prices by 5.5% last March. 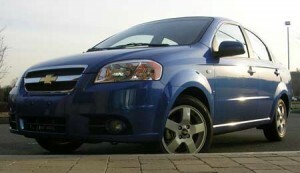 The Bupyeong plant produces the majority of GM Daewoo cars and rebadged worldwide models such as the Chevrolet Aveo and Chevrolet Captiva.